In South Africa, the Visa International Credit card is available in Classic Blue Card, Gold, Platinum and Infinite which is the black card. You can use all cards at leading retailers, hotels and fuel stations around the world by just swiping the card at the card machine. ATMs across the globe also accept these cards allowing cardholders to withdraw cash in the local currency. On this card, a 24-hour helpline service is available to block the account within 30 minutes of the report. 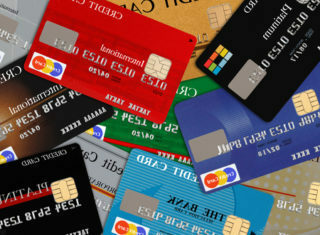 This is to prevent the use of the card for illegal purchases. They can ensure that a card to replace the blocked one will be sent to the cardholder within three working days. The agents can also arrange urgent cash assistance for the cardholder that can be collected at 270,000 different stations globally. In addition to this on the gold card, card holders get a travel assistance service which links to the Personal Gold Visa card. This assistance is for matters about medical and legal challenges that one might face while on a trip abroad. The Visa Gold card also carries rewards and vouchers worldwide participating restaurants, hotels, health and beauty spas travel/ airport lounges and retail shops. The Platinum card comes with even more luxuries and rewards. It has more high-level features such as purchase protection. Purchase protection is an insurance that protects the holder against guards against the purchase of stolen or damaged goods. Another useful reward is the extended warranty, with this benefit, the card holder can increase the manufacturer’s warranty by a further 24 months. They can do this by simply paying for their appliances using their Visa Platinum card. The emergency feature as available on the Classic and Gold cards is again available on the Platinum card. Visa Platinum cardholders utilise all ATMs across the world that bears the Visa and Visa Plus logo. They can use the ATMs to withdraw local currency, and Platinum card holders have promotional items available exclusively to them; these include VIP treatment and also upgrades at member luxury hotels, discounts at restaurants, pharmacies, spas and other retailers. The concierge service also starts at this level of the card going up. With this service Platinum card holders have access to personal assistance wherever they are at whatever time. The concierge personnel can make dining reservations, organising dry cleaning, help with planning a special event, the works. The Infinite card, which is the black card is Visa International Credit card’s current best card in South Africa. This card opens the holder to a world of pure opulence. They get round the clock concierge service which can book flights for them, dinner reservations and the like, similar to platinum card holders. They get multiple trip travel insurance; this covers flight tickets, accommodation bookings and health insurance of up to R1 million rand. Card Holders need to have made each of these travel purchases using their Infinite Visa Credit card to qualify for this cover. ← If you’re looking for a credit card for the first time, you can’t go wrong with another Virgin.